Enjoy great CLE programs, fun events and connect with friends and colleagues! CLE Programs on Friday and Saturday featuring eight hours of practice-oriented programs mixed with broad-based, dynamic topics. Download the annual meeting app from your mobile device for EVERYTHING you need to know at your fingertips! 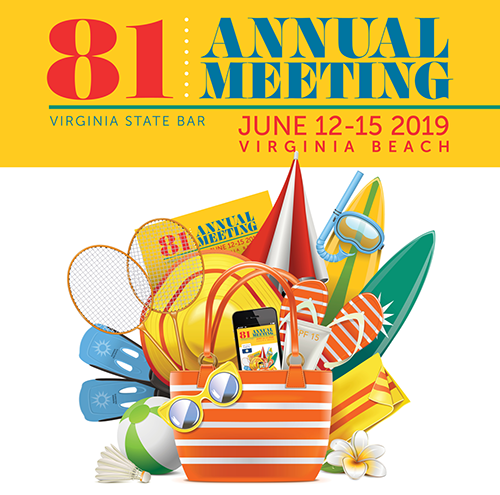 See a recap of the 80th Annual Meeting in the June 2018 issue of Virginia Lawyer.